Dubai-based low-cost airline flydubai has announced the introduction of three new East African routes. The airline will launch flights to Bujumbura in Burundi, Entebbe in Uganda and Kigali in Rwanda in September 2014. The latest route additions will bring the total number of destinations in the carrier's network to 80, including nine destionations in Africa. flydubai will operate daily flights between Dubai and Entebbe starting from 27 September 2014. FZ621 is scheduled to depart Dubai International Terminal 2 at 16:10hrs local time, arriving into Entebbe International Airport at 20:30hrs local time. FZ622 is scheduled to depart Entebbe International Airport on the following day at 01:30hrs local time, landing at Dubai International Terminal 2 at 08:05hrs local time. FZ623 is scheduled to depart Dubai International Terminal 2 at 12:20hrs local time, arriving into Entebbe International Airport at 16:40hrs local time. FZ624 is scheduled to depart Entebbe International Airport at 22:10hrs local time, landing at Dubai International Terminal 2 at 04:35hrs local time. FZ619 is scheduled to depart Dubai International Terminal 2 at 09:55hrs local time, arriving into Entebbe International Airport at 14:15hrs local time. FZ620 is scheduled to depart Entebbe International Airport at 15:15hrs local time, landing at Dubai International Terminal 2 at 21:50hrs local time. FZ619 is scheduled to depart Dubai International Terminal 2 at 07:55hrs local time, arriving into Entebbe International Airport at 12:15hrs local time. FZ620 is scheduled to depart Entebbe International Airport at 13:15hrs local time, landing at Dubai International Terminal 2 at 19:50hrs local time. flydubai will operate two flights a week between Dubai and Bujumbura via Entebbe starting from 30 September 2014. FZ623 is scheduled to depart Dubai International Terminal 2 at 12:20hrs local time, arriving into Bujumbura International Airport at 17:55hrs local time with a one-hour stopover in Entebbe. FZ624 is scheduled to depart Bujumbura International Airport at 18:55hrs local time, landing at Dubai International Terminal 2 at 04:35hrs local time with a one-hour stopover in Entebbe. flydubai will operate three flights a week between Dubai and Kigali via Entebbe starting from 27 September 2014. FZ621 is scheduled to depart Dubai International Terminal 2 at 16:10hrs local time, arriving into Kigali International Airport at 21:30hrs local time with a one-hour stopover in Entebbe. FZ622 is scheduled to depart Kigali International Airport at 22:30hrs local time, landing at Dubai International Terminal 2 at 08:05hrs local time with a one-hour stopover in Entebbe. update (11 Sept 2014): According to news reports, the construction of the much anticipated P1.4 billion Kazungula Bridge linking Zambia and Botswana is now expected to start early next year... we'll keep you posted! Korean construction company, Daewoo Engineering & Construction, has just announced that it won a tender for the construction of the Kazungula Bridge linking Zambia and Botswana. The construction of the US$161 million project is expected to start in September 2014 and is supposed to be completed within four years. The bridge will replace the famous Kazungula Ferry, a pontoon ferry across the 400-metre-wide Zambezi River between Zambia and Botswana. Earlier in August 2014, one of the main sponsors of the to be built Kazungula Bridge, Japan, pulled out of the project following an alleged tender dispute. The construction of the new bridge was initially expected to start in June 2014. The new Kazungula Bridge will be located some 75 km from Livingstone in Zambia and about 10km from Kasane in Botswana. The town of Kazungula lies just 2 km from the road between Livingstone and Sesheke which connects to the Katima Mulilo Bridge linking Zambia and Namibia. Africa's longest double zipline will open in the Sundays River Valley near Addo, located about 1 hrs from Port Elizabeth, on 01 September 2014. The zipline runs 60m over the Sundays River, which is known to South Africa's fastest-flowing river when in flood. With a lenth of about 500m the "double zipline" flies two riders over the river at up to 60 km/h depending on your weigh. An automatic breaking system stops your motion as you approach within 40m of the end of the zipline. A ride with the zipline costs R200/person (guides & equipment included; allow 1hrs). For more info about the zipline and all other adventures offered by "Adrenalin Addo", visit their website! Enjoy! 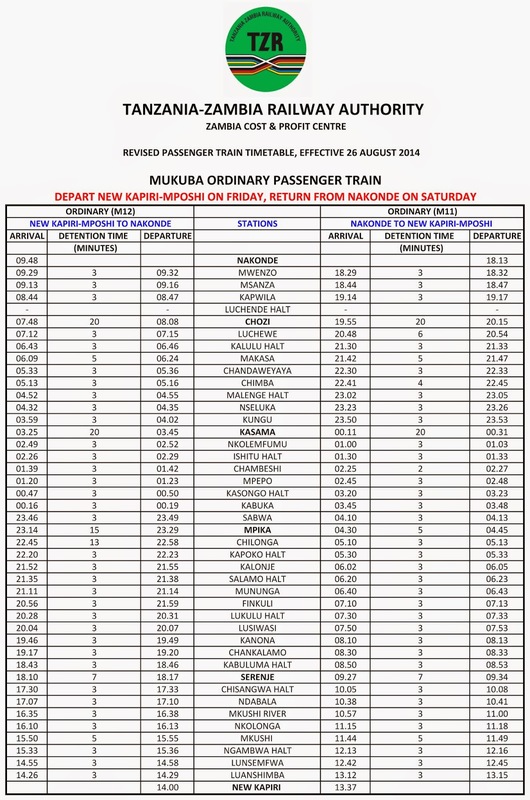 update (10 December 2014): According to mmegi.bw, Botswana Railways (BR) passenger trains are expected back on the track in Botswana at the end of 2015. According to Yarona FM, a private radio station in Botswana, Botswana Railways (BR) has announced plans to introduce a tourist train similar to South Africa's Shosholoza Meyl to offer both local and international tourists an opportunity to explore Botswana and the neighboring countries. A possible route for the new tourist train will be from Francistown in Botswana to Bulawayo and Victoria Falls (Zimbabwe) before reaching Livingstone (Zambia) and back into Botswana. Sounds like an ambitious plan. We'll keep you posted! Post by Yarona FM News-The Real Story. If you are planning to visit Durban keep in mind that one of the city's popular tourist attractions, the SkyCar at the Moses Mabhida Stadium, is currently grounded for annual service until further notice. The SkyCar is a funicular mounted on an undercarriage that carries visitors from the north side of the stadium to a viewing platform at the top of the stadium's arch at 106m above the pitch, offering 360º views over Durban and the Indian Ocean. We'll keep you posted! update (16 July 2015): Proflight Zambia introduced flights to Kafue National Park on 08 July 2015. 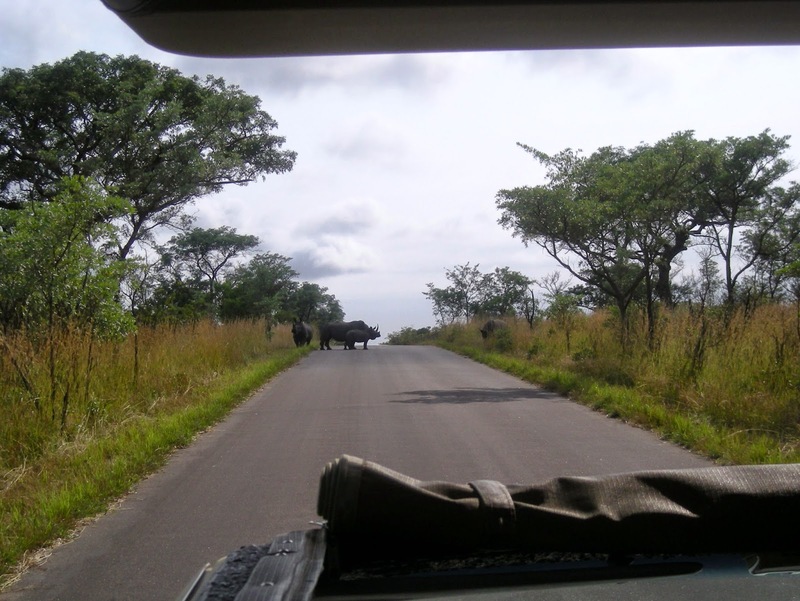 The twice-weekly route takes travellers to the heart of the Busanga Plains in just one hour 35 minutes, compared with a drive that can take up to 15 hours. Passengers can also travel to Lufupa Airstrip and Chunga Airstrip in the park by arrangement. Flight P0654 flies from Kenneth Kaunda International Airport in Lusaka to Busanga Airstrip at 11:15hrs, arriving at 12:50 on Mondays Wednesdays and Saturdays, and returns from Busanga Airstrip at 13:05, arriving back in Lusaka at 14:40 on the same days to enable smooth connections with Emirates and South African Airways flights. Zambia's only domestic scheduled airline, Proflight Zambia, has announced that it will commence schedule flights to the Kafue National Park serving Chunga Airstrip between 01July 2015 and 31 October 2015. Flights will operate every Mondays, Wednesday, and Saturdays departing Kenneth Kaunda International Airport in Lusaka at 11:30 hrs and arriving in Chunga Airstrip at 12:45 hrs. The returning flight will leave Chunga Airstrip at 13:05 hrs and arrive at Kenneth Kaunda International Airport in Lusaka at 14:20 hrs. Kafue National Park, located in the centre of western Zambia, is the largest national park in the country and the second largest park in Africa. It is covering an area of about 22,400 km² and is home to 158 recorded species of mammal. Survey: South Africa offers cheapest transport options! According to GoEuro's Worldwide Transportation Price Index, South Africa is currently the cheapest country for transport. The online plattform compared the cheapest bus, train and flight connections between the two most populous cities in 51 countries across five continents, taking into account factors such as distance, scheduling and taxes. 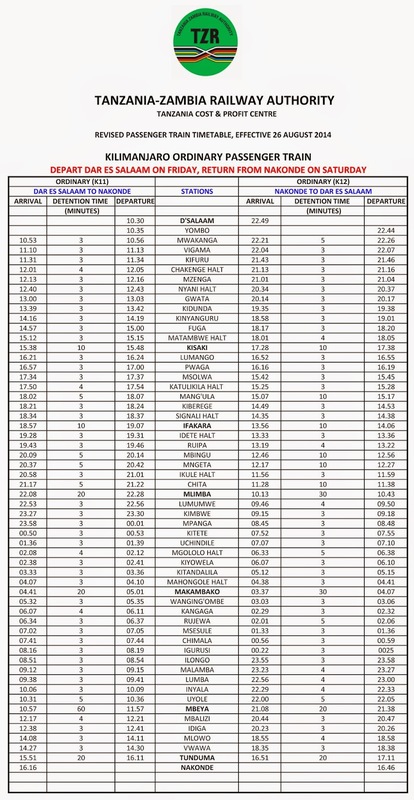 Countries were rated according to average price per 100km for each transportation type. The most expensive country for transport is Switzerland, where bus journeys cost on average $18,67/100km; train journeys $38,28/100km; and flights $125,07/100km. The United States placed 22nd least expensive out of the 51 countries evaluated, with an average bus journey costing $7.92/100km; train journeys $18.61/100km; and flights $10.36/100km. Germany came out as the 17th cheapest country for transport, while Australia was ranked 25th, United Kingdom 39th and the Netherlands 44th! South African carrier Airlink has announced that all of the airline's flights to and from Swaziland will, from Tuesday 30 September 2014, operate at Sikhuphe/King Mswati III International Airport (IATA: SHO). Matsapha International Airport (IATA: MTS), which is located close to the city of Manzini in Swaziland, will close to all civilian flights including all regional and international air traffic on 29 September 2014. The Swaziland Civil Aviation Authority (SWACAA) will be providing a shuttle bus service for passengers wishing to travel between King Mswati III International Airport and Matsapha International Airport. Passengers already booked on Airlink's services to Matsapha International Airport will be re-accommodated on the SHO schedule. Airlink will operate three return flights daily between Johannesburg and King Mswati III International Airport. King Mswati III International Airport, which was inaugurated on 07 March 2014 without having a license to operate from the International Air Transport Association (IATA), is located 70km from Mbabane. The airport incorporates a 7,000m² passenger terminal designed to handle and process 300 passengers per hour. 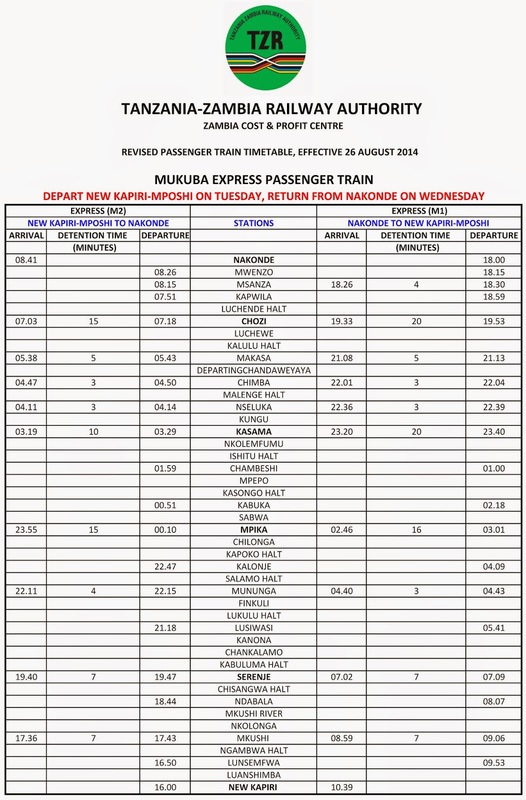 The Tanzania-Zambia Railway Authority (TAZARA) has announced some big news. The railway in East Africa linking Tanzania with Zambia has re-organised its passenger train operations and introduced new timetables. With effect from 26 August 2014, the inter-state cross-border passenger trains between Dar es Salaam in Tanzania and New Kapiri Mposhi in Zambia will no longer run through across the borders. Instead, the passenger trains will operate as local trains within the respective borders of Tanzania and Zambia, intersecting and both u-turning at the Tanzania/Zambia border station of Nakonde. Passengers who intend to cross the border and travel by train all the way through to the other country will be required to swap trains at Nakonde in order to proceed to Dar es Salaam or New Kapiri Mposhi, respectively. 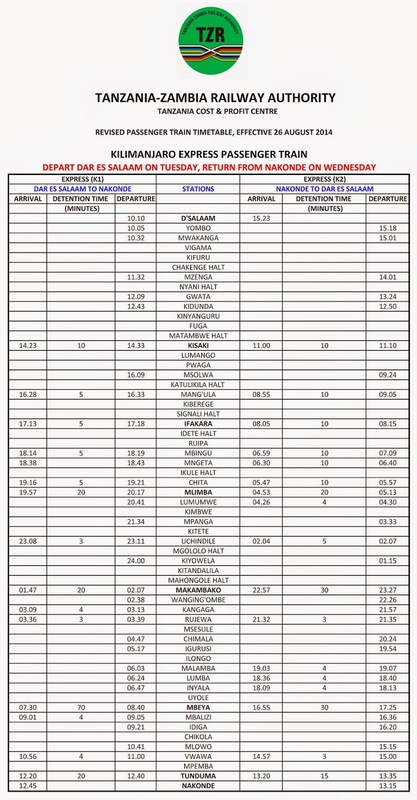 According to TAZARA, the new timetables for the Tanzanian and Zambian operated trains have been designed in such a way as to allow for the interfacing of the trains at Nakonde station so that any passengers that are crossing into the other country have sufficient time to swap the trains and proceed with their journey with minimum inconvenience. update (15 Oct 2014): According to the Zimbabwe Broadcasting Corporation (ZBC), Egyptair will reintroduce flights between Cairo International Airport (CAI) in Cairo and Harare International Airport (HRO) in Harare, Zimbabwe in November 2014! According to Zimbabwean news website bulawayo24.com, Egyptair will stop operating flights between Cairo International Airport (CAI) in Cairo, Egypt, and Harare International Airport (HRO) in Harare, Zimbabwe on 24 September 2014. The national carrier of Egypt only returned to Zimbabwe after a nine year absence in June 2013. This comes about three weeks after the flag carrier of the Netherlands, KLM Royal Dutch Airlines, announced that it will be discontinuing flights to Harare from 28 October 2014. Airports Company South Africa (ACSA) has published the on-time performance results of domestic airlines’ flying out of OR Tambo in Johannesburg, Cape Town International Airport, and Durban's King Shaka International Airport in July 2014. Herpetologist Johan Marais, author of "A Complete Guide to Snakes of Southern Africa" (available in South Africa via kalahari.net), has completely updated his 15 "Dangerous/Harmless Snakes" posters for all South African provinces as well as for Bostwana, Namibia, Swaziland, Zimbabwe and Mozambique. The posters are available as free downloads in high resolution and are designed to be printed in A3 (A4). Kudos & many thanks, Johan! FlySafair, one of South Africa's newest domestic low cost carriers, has added a new route to its network. Starting from mid-October 2014 the airline will be offering flights between Cape Town and George. FlySafair previously opened bookings for routes between Cape Town <> Johannesburg and Cape Town <> Port Elizabeth. FlySafair will charge passengers a base rate which secures a seat on the flight, and allows travellers two pieces of free carry-on luggage (one bag and one personal item) weighing no more than 7kg in total. The airline operates Boeing 737-400's with a seating capacity of 165 passengers per aircraft. According to the Department of Environmental Affairs, South Africa is home to 82% of Africa's rhino, 93% of Africa's white rhino and 39% of Africa's black rhino. As of 2012, South Africa's rhino population was estimated at 21 000. Based on the latest population survey (2013) in the Kruger National Park, about 8 400 and 9 600 white rhinos are presently living in the National Park. Poaching, natural deaths and the translocation of rhino from the Kruger National Park presently match that of rhino births. This means that the rhino population in the Kruger National Park has stabilised. update (21 Aug 2014): South African Airways (SAA) has released a new brand ad on youtube. Enjoy "Meet the airline on the rise!"! South Africa's national flag carrier, South African Airways, has uploaded the full international version of its new SAA brand ad to youtube. How do you like it? South African Airways (SAA) currently operates flights to 40 destinations worldwide, including 24 destinations across the African continent such as Dar es Salaam, Entebbe, Harare, Lilongwe, Livingstone, Luanda, Lusaka, Maputo, Nairobi, Victoria Falls and Windhoek. SAA is a Star Alliance member which offers more than 21,900 daily flights to 1,328 airports in 195 countries.